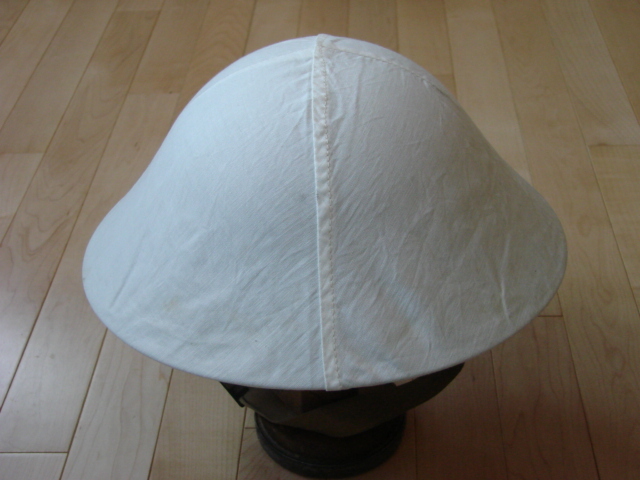 After years of searching, I have finally obtained a Winter White Cover for a Mk II helmet. 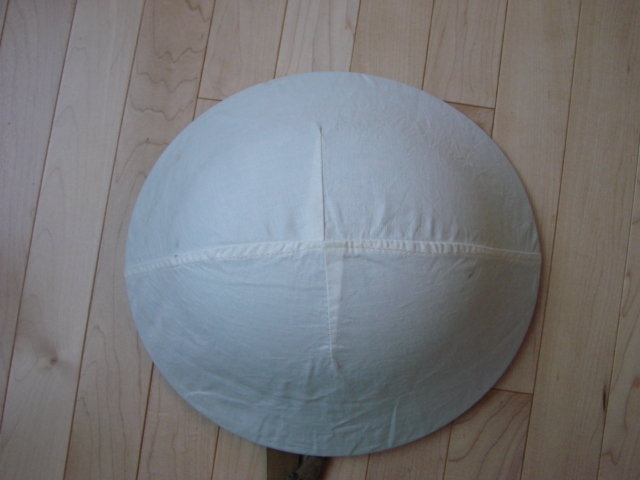 It is constructed of a cotton material with machine stitched seams and cloth craw tapes for tightening it up on the helmet. 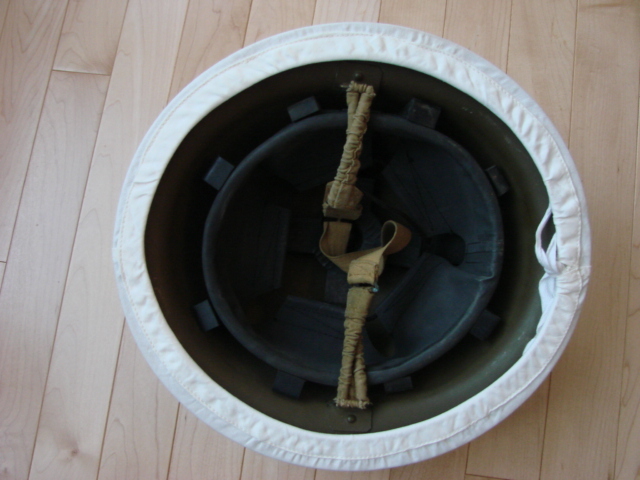 The whole thing is well fitted and definately designed for the Mk II helmet. 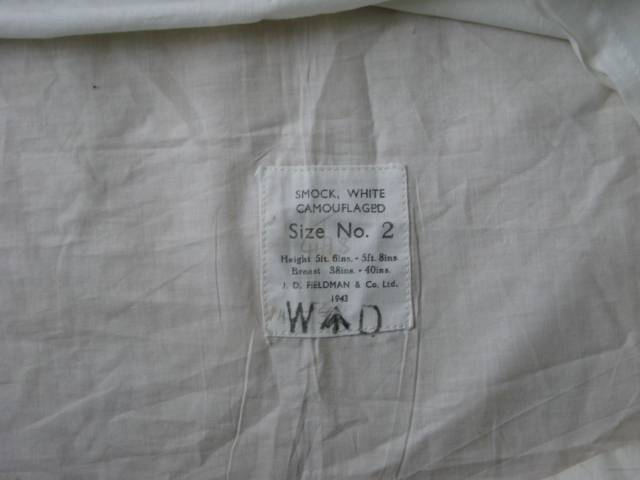 This one is unmarked inside, but the construction and material is the same as a 1944 British marked set of winter whites that I have (shirt and pants). 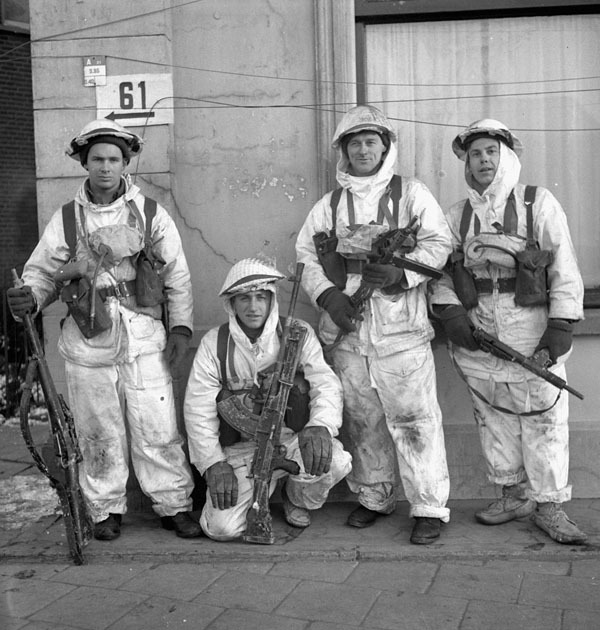 I have included a photo of the Lincoln and Welland Regiment wearing the same in 1945. Nice item and a very well known photograph Geoff. I think that they would use what was available to them, including sheets and pillowcovers. What would this fellow be wearing? He is Queens own Rifles man in the vicinity of Nijmegen during the winter of 44/45. Nice photo and one I haven't seen before. It looks to me like the white top and he has pulled the hood up over his head, no helmet. 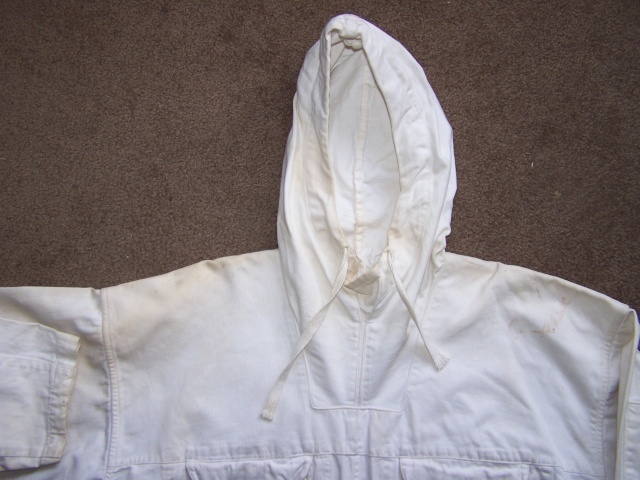 I'll take some pics of my snow suit and send them to you for comparison. Wouter wrote: Nice item and a very well known photograph Geoff. I think that they would use what was available to them, including sheets and pillowcovers. I think you are quite correct about improvised helmet covers being worn as well. I know the US forces did this at the Battle of the Bulge. Apparently, lace embroidered table cloths were popular, or so I have heard at least! 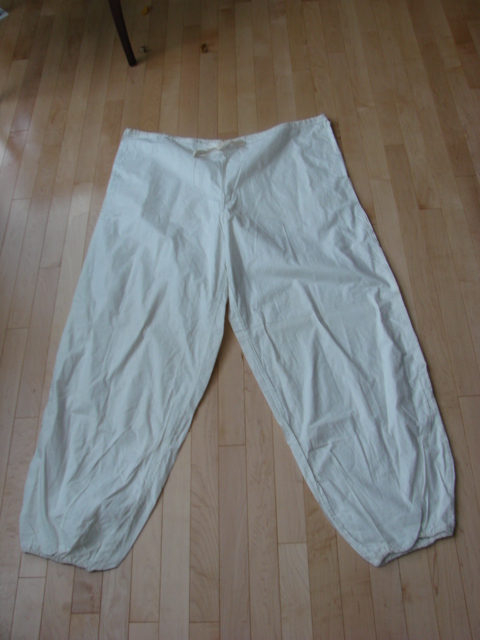 Some pics of my winter whites. 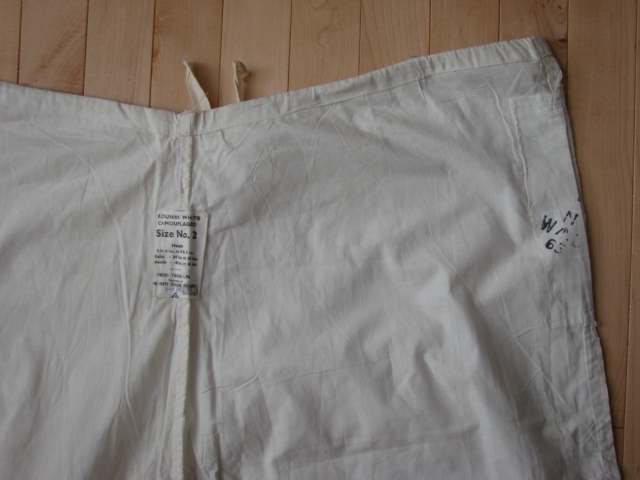 They are dated 1943. Were these snow suits also made in Canada or just in Britain? Hadn't noticed before, but the Linc & Winks have camo nets over the winter cover. Wonder what would be added? 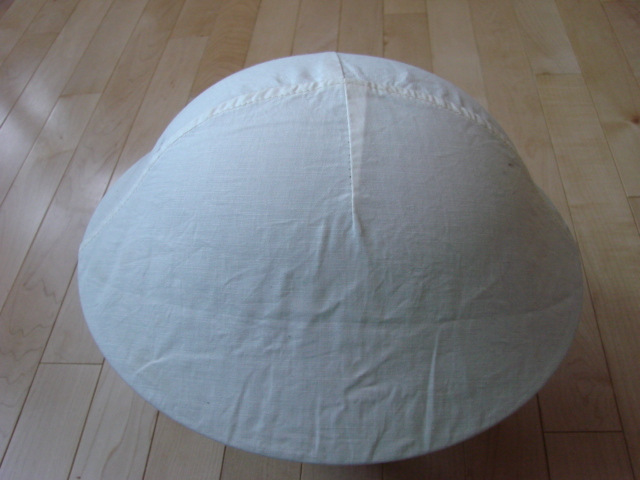 Hessian in white / grey etc? Stuff added would break up the helmet line. Bill wrote: Hadn't noticed before, but the Linc & Winks have camo nets over the winter cover. Wonder what would be added? Hessian in white / grey etc? Stuff added would break up the helmet line. That is agood question. I know today, we rarely wear any scrim over top of the white helmet covers. Although our nets will fit over them (black though, so not so good). If you were patrolling in a wooded area, some dark scrim on white might be a good idea. Do you see that their snow suits are very dirty? 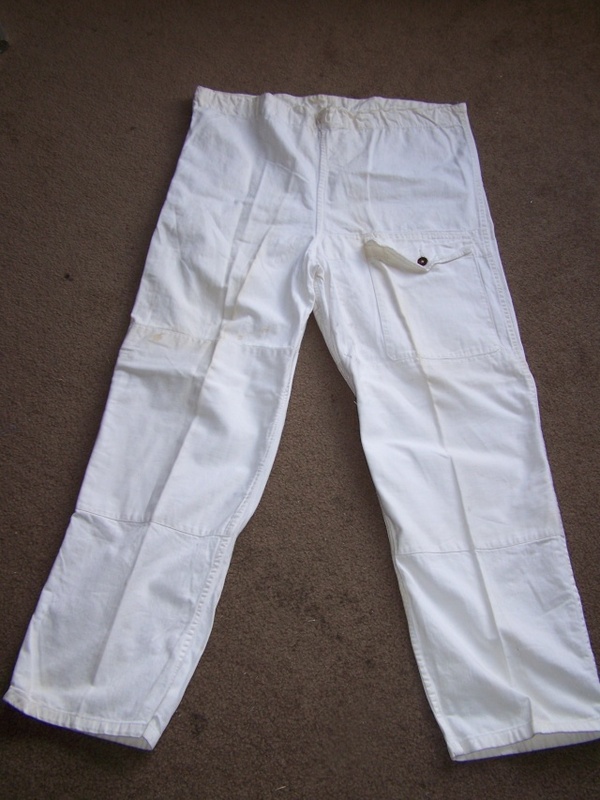 Even today we dirty our whites up to break up the outline. Congratulations on the find! 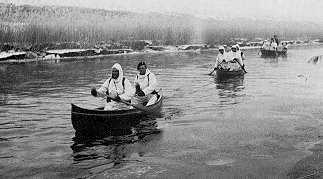 I have been in the same boat for years, having the camouflage outfit but not a helmet cover. 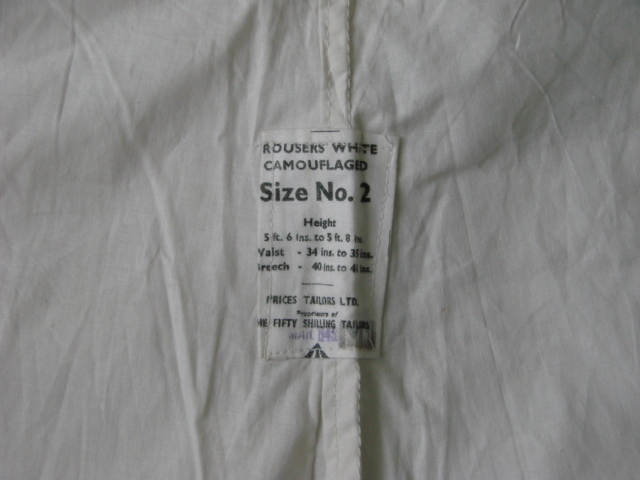 Now that you have posted the pic of the smock and trousers i have realised that the items I have are very different from yours. 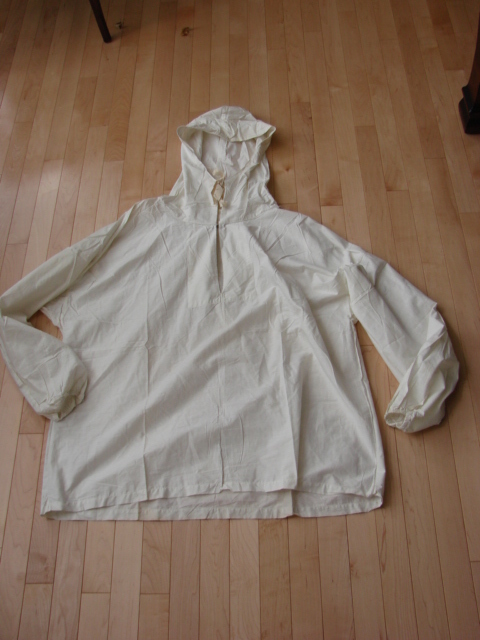 My smock has pockets and seems to be much heavier material than yours. I will dig them out and take some photos to compare. Yes, there never seems to be an end to the variations. 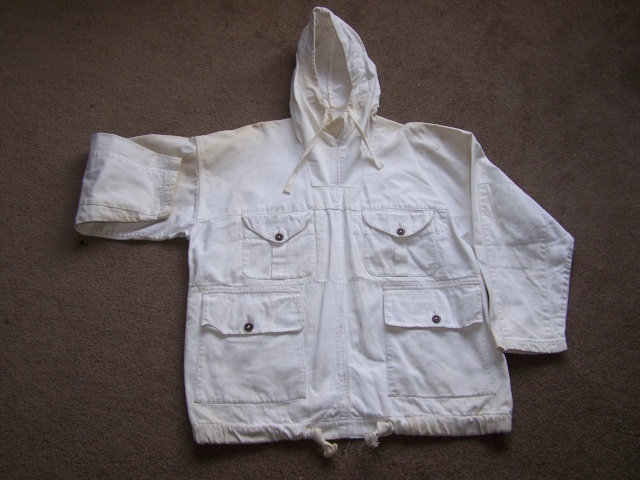 I think what you have is classed as the "parka", whereas mine are "snow suits". Why have two? OK I have them here. 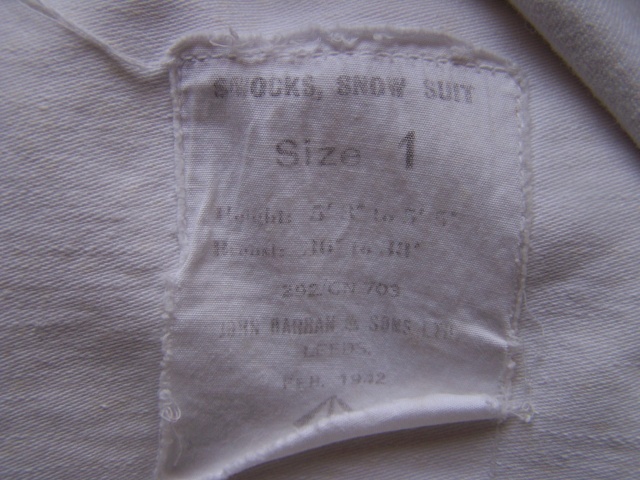 The items I have are labelled "Smock, Snow Suit" and "Trousers, Snow Suit" and both are dated 1942, although whether there is any significance in the name I don't know. 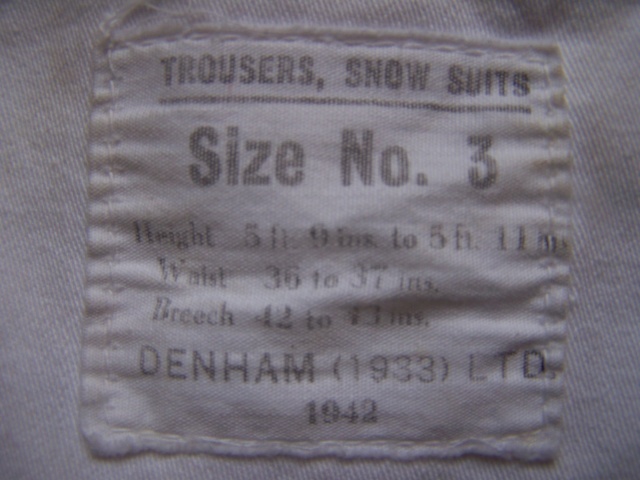 As mine are earlier dated, it may be that your items replaced mine by 1943. Anyway, I will get some pix organised so you can see. One thing I have noticed, all the Lincoln and Welland lads from your photo have a map pocket on the left leg of their whites. They also seem to be wearing inflatable lifebelts for some reason. They are made of a fairly heavy cotton duck material, and are fitted with standard chocolate brown plastic buttons, as found on all mid-war British battledress.